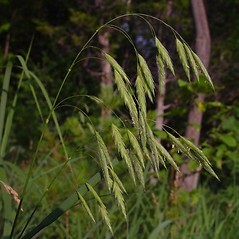 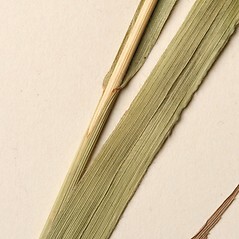 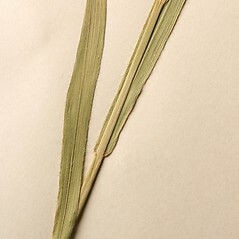 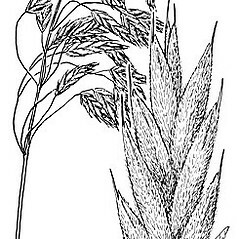 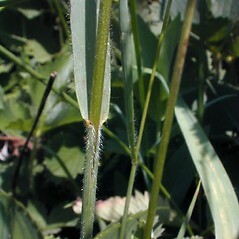 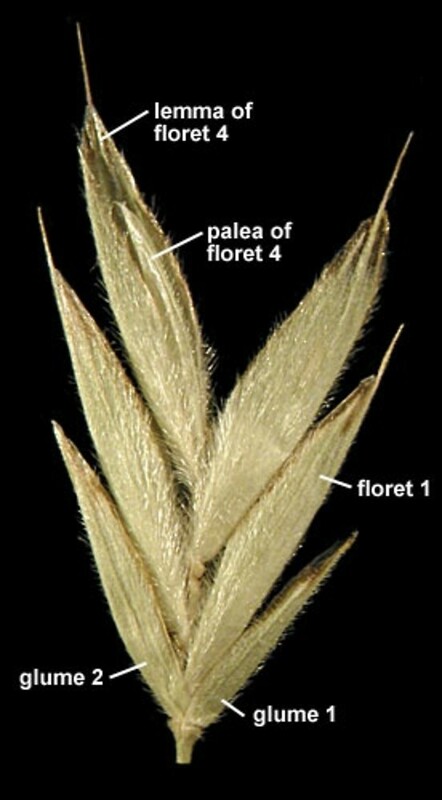 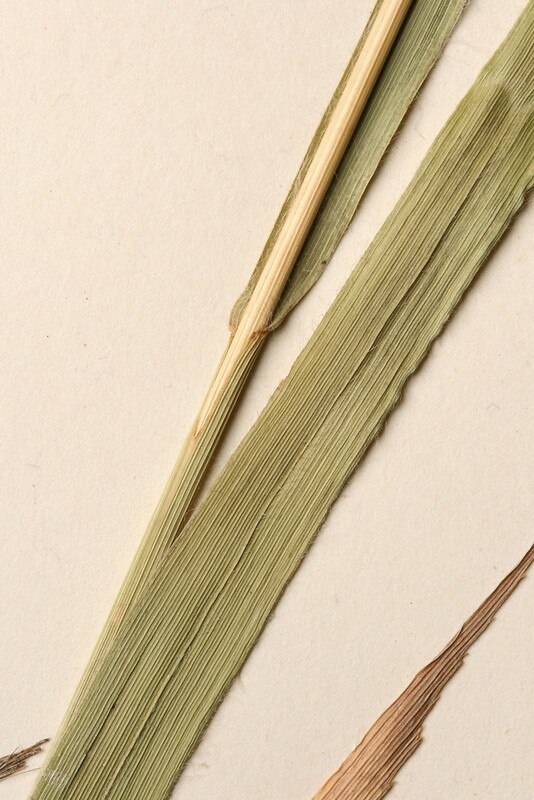 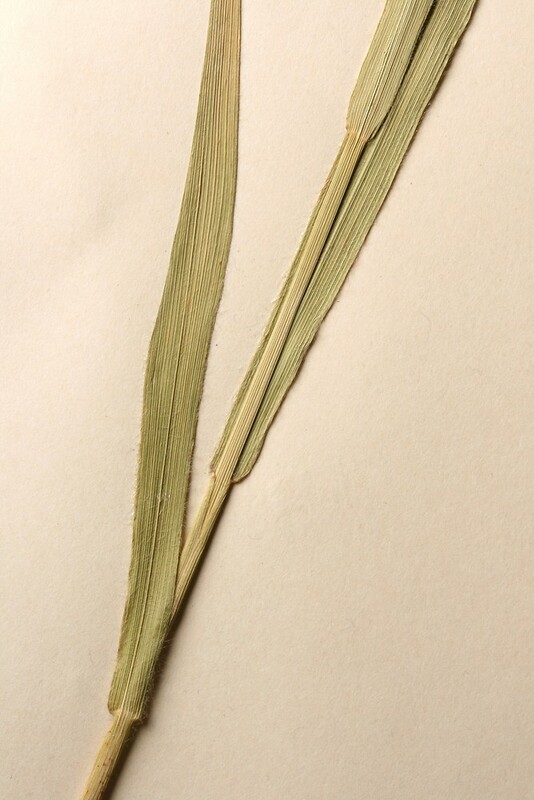 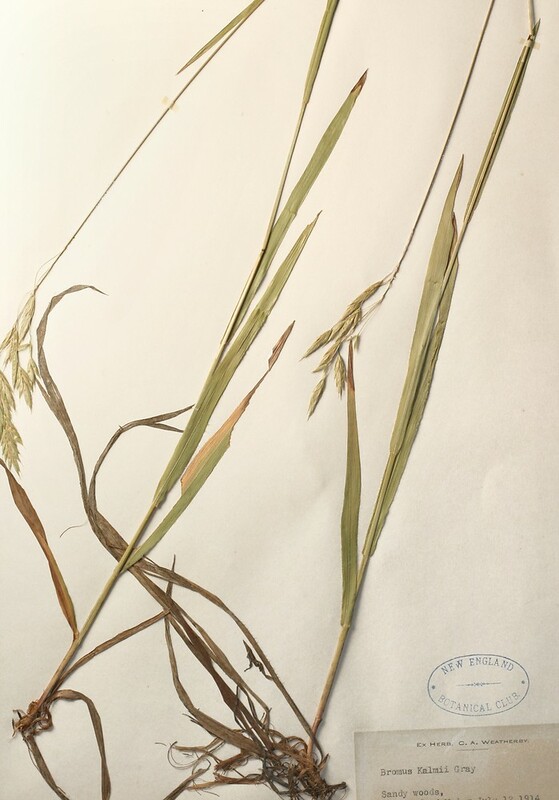 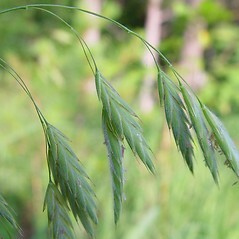 Kalm's brome is native to northeastern North America, including New England. 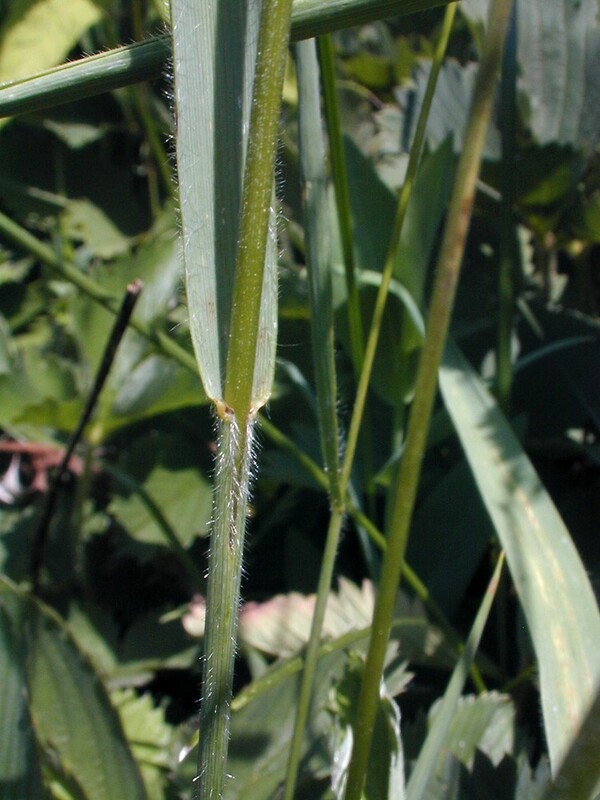 It inhabits outcrops, forests, woodlands and sometimes wet meadows, usually where the soils are calcareous. 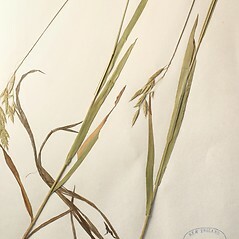 ligules 2-3.5 mm long, lower glumes 7-9 mm long, and upper glumes 9-11 mm long (vs. B. kalmii, with ligules 0.5-1 mm long, lower glumes 5-7.5, and upper glumes 6.5-8.5 mm long). 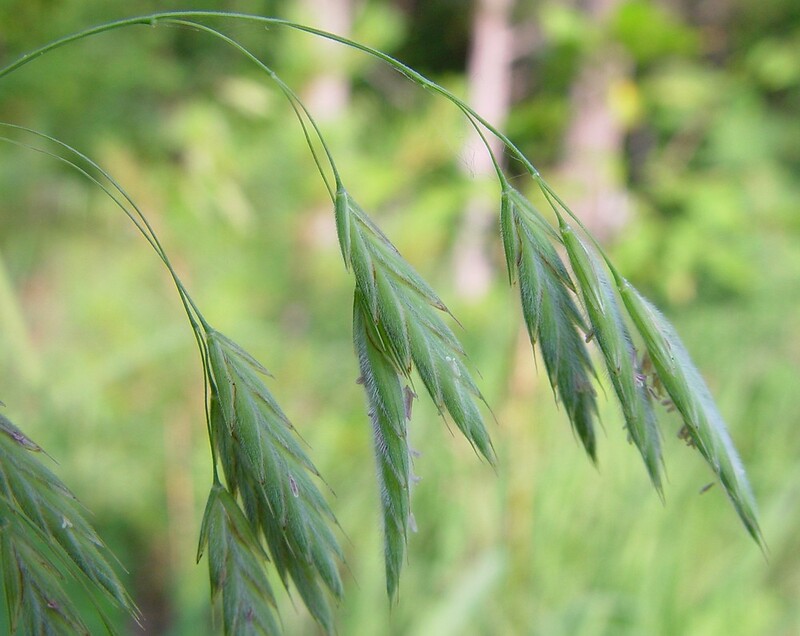 Kalm’s brome. 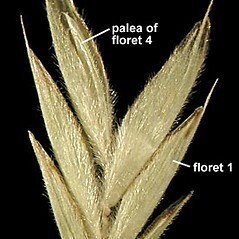 Bromopsis kalmii (Gray) Holub; Bromus purgans L. • CT, MA, ME, NH, VT. Commonly in dry-mesic soils of outcrops, open forests, and woodlands, less frequently in wet-mesic meadows and riparian forests, usually in soils influenced by high-pH bedrock.